Abstract: This work is the result of collective reflection and examines transgenericity through the double prism of contamination and transposition. 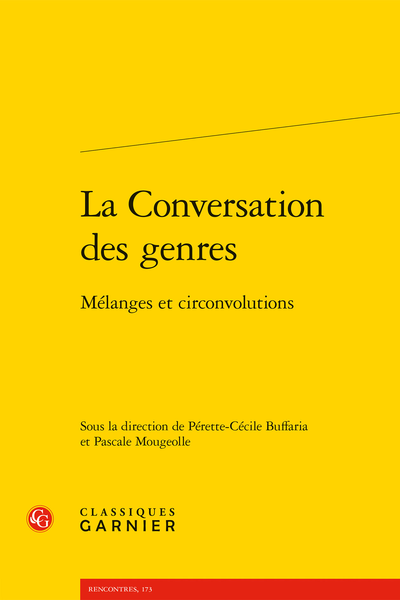 The two concepts open up the reading of “genres de travers” (cross genres) by decoding the phenomena of interference and interinfluence. La transgénéricité, un facteur d’évolution générique ?